One thing that the web does exceedingly well is bring together people who might otherwise never have met. However, developing real relationships with those you connect with online can be tricky. Sometimes it does translate into real life friendships. For instance, I met many other artists I consider friends through Ground Glass and Women in Photography, (shout out to Ms. Elkins here,) but often it ends after a few email exchanges that leave you feeling rather dissatisfied. I think many of us have been craving some sort of deeper connection in the blog world for some time. There have been several efforts to do this, some more successful than others. In my case this past year has been about shifting my focus from blogging to my own art work and to WIPNYC. In that vein, it has been very important to me to get feedback from peers I can respect. I was lucky enough this past spring to meet an extraordinary group of artists called POC, who generously allowed me to be a part of their group for one week in Salzburg. And it was a revelation. It was like all of the impulses that had led me to blog were suddenly fulfilled. I had found a community, but a flesh and blood one, who were 100 percent committed to the pursuit of photography. I actually stumbled upon the Piece of Cake website several years ago, right when I started studying photography. I remember thinking “wow what would it be like to be a part of something like that?” However at the time they only accepted European artists. But somehow, in May I was sitting in on their workshop and at the end of the week I had agreed to spearhead the creation of a North American version. It is crazy how things happen. But it has already been one of the best things that has happened in my photo journey so thus far. We launched the American version this week, for now we have a small group but we are hoping to add more artists, from Canada and Mexico and other parts of the US as time goes on. POC is basically a network of artists who meet, exhibit and work together to discuss and promote the medium of photography. The US & European members hope to open a dialog across the Atlantic. We are still in the process of discovery and are exited to see what will develop with the project. There will be more info to come. 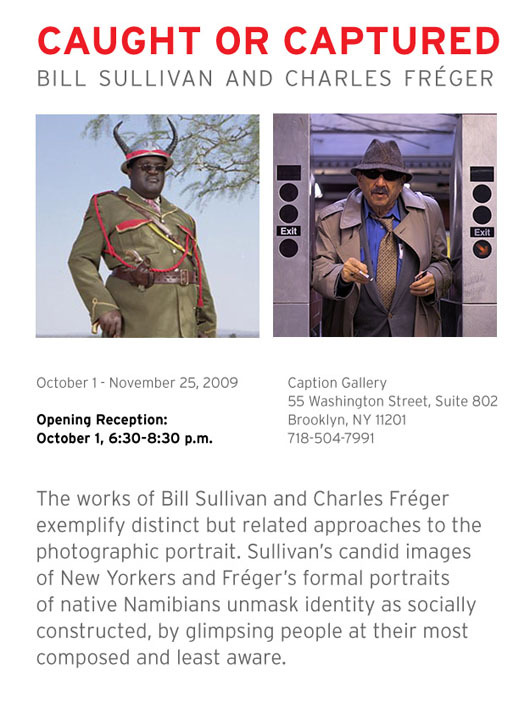 But the first POC exhibit opens this Thursday at Caption Gallery in Dumbo. Bill Sullivan and Charles Freger, representing both networks will share the space. I hope you can join us to launch the new endeavor. Have a look at the website to view the work of both Piece’s of Cake. I often discuss the strange and continuing disconnect between the New York and West Coast photo/art scenes. For some reason NY/Chicago/Portland, seem to have dialog and relationships, largely because of blogs and perhaps personal relationships among artists. But California remains an island. I am certain that lots of great stuff is happening there–after Ed Ruscha and other than TMZ, which in a way is sort of like a bizarre performance art piece. Sharon Lockhart for instance is one of the most innovative and interesting photographers out there, but she rarely is referenced in the NY art scene. But two self-described NY transplants, Nicole Lloyd and Cara Nieto, have started a blog to document and promote the LA art scene. Both are artists and curators themselves. Nicole and I met after she included my work in the LA Slideluck Potshow, a couple years ago. She is also a talented photog in her own right and an SVA alum. Their blog Superluminal is a well needed bridge to the other side…aka California! If you happen to be in Chelsea today I will be presenting a selection of my Ultraviolet work as part of the first Project 5 artist salon at Daniel Cooney Fine Art. The talk begins at 3pm and includes artists: Timothy Briner, Jessica Dimmock, Yola Manakhov.511 West 25th Street, Suite 506. I will be speaking last. Ok, so I am such a bad blogger, that I only got around to updating my expired custom CSS today, so some of you may have noticed GG looked pretty nasty for the last few weeks. And now that my first solo show is finally pretty my done, I thought I would try to get back to the blog. However, now it looks like I am moving, and I did my “to do” list on the train to Boston, and by page seven, I started to not be able to read my own handwriting. Realistically I am not sure I can maintain my GG, right now. I have hit a moment in my personal life and work, where the stakes are the highest they have ever been and every moment matters. Ground Glass has been the thing that slipped through the cracks… and I have lost track with the blogging world. However, I got a google alert with my name on it recently from NYMPhoto’s blog. And I spent some time looking over what they have been up to lately, and I was very impressed. They are consistently providing good content with interviews and information about events and openings. So if you are not reading it now, you should take a look. And I will try to periodically add content here, until I get around to figuring out the next phase of GG. 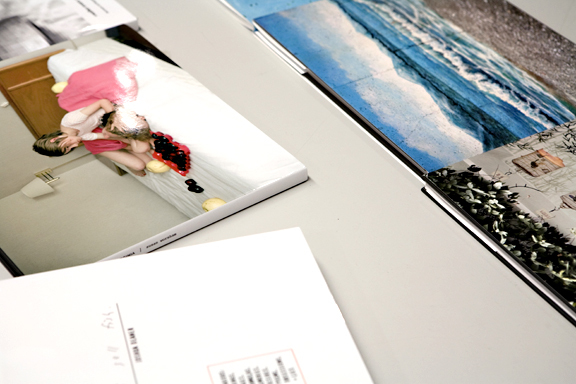 Also, the Blurb 2009 Photography Book Now winner’s have been announced, take a look at this year’s winners.